Size of this PNG preview of this SVG file: 800 × 480 pixels. Other resolutions: 320 × 192 pixels | 1,024 × 614 pixels | 1,280 × 768 pixels. 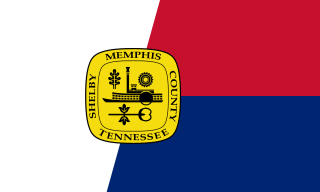 Flag of en:Memphis, Tennessee. Image created by uploader based on description in the Memphis City Charter and various images found on the web.